Out of the Park: The Lion King 3D | What's the Point? Last night my husband and I, along with three of our friends took the time machine back to June 1994 and the movies to see The Lion King... at least that's what it felt like! The Lion King was one of the many Disney animated feature hits in the 90s, and along with The Little Mermaid, Beauty and the Beast and Aladdin, truly shaped my love for the company. Despite our displeasure of not being offered the cool kiddie 3D glasses, we enjoyed ourselves immensely. The truth of the matter is that I have not seen the film itself in probably over 10 years. That of course does not mean that the story and music has not been a part of my life. 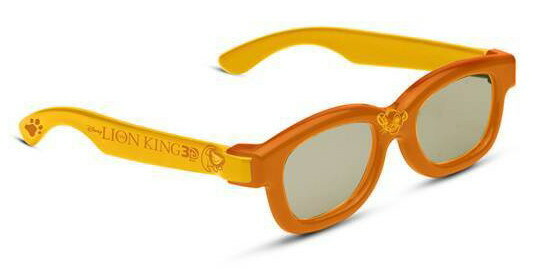 The "cool kid" The Lion King 3D glasses! In Disney theme parks, The Lion King still plays a prevalent role. Growing up, I saw "The Legend of the Lion King" many times. This attraction (replaced by Mickey's Philharmagic) used puppets to tell the story of The Lion King. 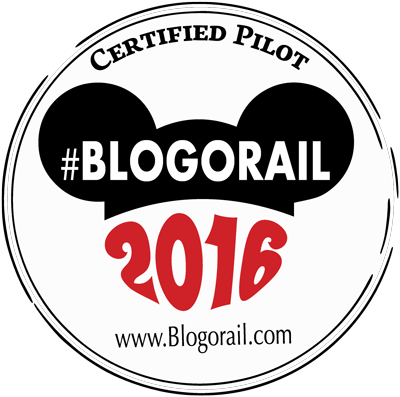 However, my favorite Lion King-themed attraction is The Festival of the Lion King at Disney's Animal Kingdom. 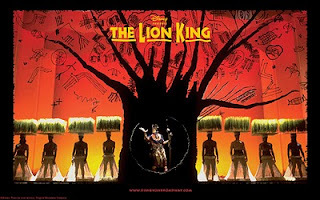 The Festival of the Lion King is a live stage show presented in a round theater. The show relies heavily on audience participation, features acrobats and flame throwers and brilliant live singers. Also, living in New York has allowed me to experience The Lion King on Broadway. Out of all of the Disney on Broadway productions I've seen, my favorites are The Lion King and Mary Poppins. The Lion King is choreographed by Julie Taymor and the sets and costumes are absolutely unbelievable. The whole show is breathtaking. The Lion King is a truly magical story, with a terrific soundtrack and wonderful animation. Did they need the 3D for the re-release? No, probably not. The animation was perfect when it was originally released. However, it seems as if movie-goers are eating it up. Entertainment Weekly is reporting that, just on Friday, the film made $8.8M, nearly double Contagion. People are craving some magic, and The Lion King continues to deliver. Flashback Friday: Once Upon A Time IS NOW!